Thankful Strong married Jonathan Hunt III, son of Jonathan Hunt Jr. and Martha Williams. Thankful Strong was born on 26 August 1702. She was the daughter of Jerijah Strong and Thankful Stebbins. Jonathan Hunt III was the son of Jonathan Hunt Jr. and Martha Williams. Jonathan Hunt III married Thankful Strong, daughter of Jerijah Strong and Thankful Stebbins. Mary Hunt was the daughter of Jonathan Hunt III and Thankful Strong. Elijah Hunt Mills was the son of Benjamin Mills and Mary Hunt. Harriette Blake Mills was the daughter of Elijah Hunt Mills and Harriette Blake. Harriette Blake Mills married Admiral Charles Henry Davis. 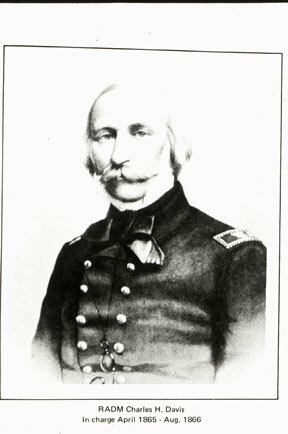 Admiral Charles Henry Davis was born in 1807 at Boston, Suffolk Co., MA. He married Harriette Blake Mills, daughter of Elijah Hunt Mills and Harriette Blake. Admiral Charles Henry Davis died in 1877. Charles was an American naval officer and scientist. Appointed a midshipman in 1823, Davis directed operations of the Coast Survey for a time along the New England coast. He established the American Ephemeris and Nautical Almanac in 1849 and published several hydrographic studies. In the Civil War he was fleet captain and chief of staff to S. F. Du Pont in the successful expedition (Nov., 1861) against Port Royal, S.C. On May 9, 1862, he replaced A. H. Foote in command of the Upper Mississippi flotilla of gunboats. The next day he repulsed the attack of a Confederate fleet near Fort Pillow, and on June 6 he annihilated the Confederate fleet before Memphis, taking the city the same day. He then joined Farragut in an unsuccessful attempt to take Vicksburg. Davis was chief (1862–65) of the Bureau of Navigation and superintendent (1865–67, 1874–77) of the Naval Observatory. For his victories at Fort Pillow and Memphis he was promoted to rear admiral in Feb., 1863. He accompanied Lincoln's body as it was displayed across the United States. [S82] Gary Boyd Roberts and William Addams Reitwiesner, Princess Di, Page 47. [S816] L. Vernon Briggs, Cabot Family, pages 650. Henry Cabot Lodge was born on 12 May 1850 at Beverly, Suffolk Co., MA. He was the son of John Ellerton Lodge and Anna Sophia Cabot.2 Henry Cabot Lodge married Anna Cabot Mills Davis, daughter of Admiral Charles Henry Davis and Harriette Blake Mills, on 22 June 1871 at Cambridge, Middlesex Co., MA.3 Henry Cabot Lodge died on 9 November 1924 at Charlesgate Hospital, Cambridge, Middlesex Co., MA, at age 74; severe stroke. American statesman, who led the opposition to U.S. membership in the League of Nations after World War I. The great-grandson of the American politician George Cabot, he was born in Boston on May 12, 1850, and educated at Harvard College and Harvard Law School. He lectured (1876-79) on American history at Harvard University and edited (1879-81) the International Review. A member of the Republican Party, Lodge served in the Massachusetts House of Representatives in 1880 and 1881 and in the U.S. House of Representatives from 1887 to 1893. In 1893 he was elected to the U.S. Senate, in which he served until his death. Lodge, ranking high in the Republican Party hierarchy, was chairman of the national conventions of the Republican Party in 1900, 1908, and 1920. During the Spanish-American War he gave his full support to the policies of President William McKinley. Lodge achieved his greatest prominence as a conservative Republican leader during and after World War I. As a majority leader in the Senate and chairman of the Foreign Affairs Committee from 1919 until his death, he vigorously opposed the plan of Woodrow Wilson for the combining in a single document of a League of Nations Covenant and the Treaty of Versailles. As a result of his determined opposition, the Senate did not accept the treaty or the covenant, thus preventing United States participation in the League of Nations. Lodge died in Boston on November 9, 1924. His writings include Life and Letters of George Cabot (1877); The Story of the Revolution (2 vol., 1898); The Democracy of the Constitution and Other Essays (1915); The Senate and the League of Nations (1925); and, in collaboration with Theodore Roosevelt, Hero Tales from American History (1895). "Lodge, Henry Cabot (1850-1924)," Microsoft(R) Encarta(R) 98 Encyclopedia. (c) 1993-1997 Microsoft Corporation. All rights reserved. [S82] Gary Boyd Roberts and William Addams Reitwiesner, Princess Di, Page 47/Item 124. [S816] L. Vernon Briggs, Cabot Family, pages 649. Martha Williams was the daughter of Samuel Williams and Theoda Parke. Children of Martha Williams and Jonathan Hunt Jr.
George Cabot Lodge was born in 1873 at Boston, MA. He was the son of Henry Cabot Lodge and Anna Cabot Mills Davis. Henry Cabot Lodge II was born on 5 July 1902 at Nahant, MA. 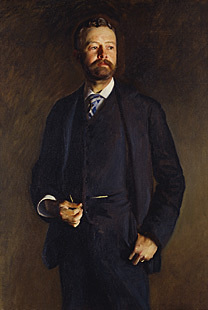 Henry Cabot Lodge II was the child of George Cabot Lodge and Matilda Elizabeth Frelinghuysen Davis. Henry Cabot Lodge II died on 27 February 1985 at Beverly, Essex Co., MA, at age 82. Henry Cabot Lodge II was buried at Mount Auburn Cemetery, Cambridge, Middlesex Co., MA. American diplomat, the grandson of Henry Cabot Lodge. He was born on July 5, 1902, in Nahant, Massachusetts, and educated at Harvard University. Lodge was associated with the Boston Evening Transcript (1923) and with the New York Herald Tribune (1924-32). A member of the Republican Party, Lodge served two terms in the Massachusetts legislature, from 1933 until 1936, when he was elected U.S. senator from Massachusetts. Reelected to a second term in 1942, he resigned early in 1944 to serve with the U.S. Army in Europe until late in 1945. Lodge served again in the Senate from 1947 to 1953; he was defeated for reelection by John F. Kennedy. In 1950 Lodge was a member of the U.S. delegation to the United Nations. He was U.S. representative to the UN during the administration of President Dwight D. Eisenhower from 1953 to 1960. He was nominated by the Republican national convention of 1960 to run for the vice-presidency with the presidential candidate Richard M. Nixon. Lodge served as ambassador to South Vietnam from 1963 to 1964 and from 1965 to 1967. Subsequently, he served as ambassador-at-large and as ambassador to West Germany (now part of the united Federal Republic of Germany). In 1969 Lodge represented the U.S. at the Paris peace conference on Vietnam, and from 1970 to 1977 he was the special U.S. envoy to visit the Vatican. "Lodge, Henry Cabot (1902-1985)," Microsoft(R) Encarta(R) 98 Encyclopedia. (c) 1993-1997 Microsoft Corporation. All rights reserved. [S82] Gary Boyd Roberts and William Addams Reitwiesner, Princess Di, Page 47/Item 125. Hannah Clapp was born in 1646. She was the daughter of Nicholas Clapp and Sarah Clapp. Hannah Clapp married Elder Ebenezer Strong, son of Elder John Strong and Abigail Ford, on 14 October 1668. [S55] Maude Pinney Kuhns, The MARY AND JOHN, Page 76. Nicholas and Sarah were cousins. Nicholas Clapp married Sarah Clapp, daughter of William Clapp. Nicholas Clapp was born in 1602. He was the son of Richard Clapp. Sarah Clapp was the daughter of William Clapp. Sarah Clapp married Nicholas Clapp, son of Richard Clapp. Josiah Parsons married Sarah Sheldon, daughter of Isaac Sheldon Jr. and Sarah Warner. Josiah Parsons was born on 2 January 1681/82. He was the son of Joseph Parsons Jr. and Elizabeth Strong. [S84] Benjamin Woodbridge Dwight Elder John Strong, Vol. II:Pg. 1292. Isaac Sheldon Jr. was the son of Isaac Sheldon and Mary Woodford. Isaac Sheldon Jr. married Sarah Warner. Sarah Warner married Isaac Sheldon Jr., son of Isaac Sheldon and Mary Woodford. Children of Sarah Warner and Isaac Sheldon Jr.
Sarah Sheldon was the daughter of Isaac Sheldon Jr. and Sarah Warner. Sarah Sheldon married Josiah Parsons, son of Joseph Parsons Jr. and Elizabeth Strong. He was a farmer and tanner at Northampton. His real estate consisted, beside his homestead with its buildings and lands (4 acres), of the tan-yard (one acre) and of some 38 acres of land, used as pasture and meadow. His personal estate was £896 16s 2d. Ebenezer's second wife, Elizabeth, was his cousin. Ebenezer Strong Jr. was born on 2 August 1671. He was the son of Elder Ebenezer Strong and Hannah Clapp. Ebenezer Strong Jr. married Mary Holton, daughter of William Holton Jr. and Sarah Marshfield, on 25 October 1695. Ebenezer Strong Jr. married Elizabeth Parsons, daughter of Joseph Parsons Jr. and Elizabeth Strong, in 1707. Ebenezer Strong Jr. died on 12 November 1729 at age 58. [S84] Benjamin Woodbridge Dwight Elder John Strong, Vol. II:Pg. 1121. Lt. Nathaniel Strong was born on 25 September 1673. He was the son of Elder Ebenezer Strong and Hannah Clapp. Sarah Strong was born on 29 September 1681. She was the daughter of Elder Ebenezer Strong and Hannah Clapp. Sarah Strong married Thomas Stebbins on 17 December 1701. [S84] Benjamin Woodbridge Dwight Elder John Strong, Vol. II:Pg. 121. Thomas Stebbins married Sarah Strong, daughter of Elder Ebenezer Strong and Hannah Clapp, on 17 December 1701. Jonathan Strong married Mehitable Stebbins, daughter of Lt. Joseph Stebbins and Sarah Dorchester. Jonathan Strong was born on 1 May 1683. He was the son of Elder Ebenezer Strong and Hannah Clapp. Jonathan Strong died on 10 December 1766 at age 83. Mehitable Strong was the daughter of Jonathan Strong and Mehitable Stebbins. Jonathan Strong Jr. was the son of Jonathan Strong and Mehitable Stebbins. Lt. Caleb Strong was born on 27 March 1710. He was the son of Jonathan Strong and Mehitable Stebbins. Lt. Caleb Strong married Phebe Lyman, daughter of Capt. Moses Lyman Jr. and Mindwell Sheldon, on 5 November 1736. [S84] Benjamin Woodbridge Dwight Elder John Strong, Volume II, Page 1161. Ichabod Strong was born on 17 October 1711. He was the son of Jonathan Strong and Mehitable Stebbins. Ichabod Strong married Mary Davis on 28 November 1734. Ichabod Strong died on 17 February 1798 at age 86. [S84] Benjamin Woodbridge Dwight Elder John Strong, Vol. II:Pg. 1207. Rev. Thomas Strong was the son of Jonathan Strong and Mehitable Stebbins. Lt. Elisha Strong was the son of Jonathan Strong and Mehitable Stebbins. Lois Strong was the daughter of Jonathan Strong and Mehitable Stebbins. Lois Strong married Deacon Seth Strong, son of Jerijah Strong and Thankful Stebbins, in 1740. Sarah Strong was the daughter of Jonathan Strong and Mehitable Stebbins. Hannah Strong was the daughter of Jonathan Strong and Mehitable Stebbins. Achsah Parsons was the daughter of Isaac Parsons and Lucia Strong. Achsah Parsons married Joel Lyman, son of Elias Lyman and Anne Phelps. Elias Lyman was the son of Capt. Moses Lyman Jr. and Mindwell Sheldon. Elias Lyman married Anne Phelps, daughter of Nathaniel Phelps and Abigail Burnham. Anne Phelps married Elias Lyman, son of Capt. Moses Lyman Jr. and Mindwell Sheldon. Anne Phelps was born on 24 December 1723. She was the daughter of Nathaniel Phelps and Abigail Burnham. [S135] Judge Oliver Seymour Phelps Phelps Family, Vol. I:Pg. 130/Item 331. Joel Lyman was the son of Elias Lyman and Anne Phelps. Joel Lyman married Achsah Parsons, daughter of Isaac Parsons and Lucia Strong. Elias Lyman was the son of Joel Lyman and Achsah Parsons. Edna Maria Lyman was the daughter of Elias Lyman and Hannah Cogswell Fiske. US Secretary of the Interior, president of Stanford University, 1916-1943. Ray Lyman Wilbur was born in 1875. He was the son of Dwight Locke Wilbur and Edna Maria Lyman. Ray Lyman Wilbur died in 1949. [S82] Gary Boyd Roberts and William Addams Reitwiesner, Princess Di, Page 59.